I haven’t bought Mentos in a long time, and they used to be a regular item on my desk at work. I think this might be more about the fact that where I used to work had a shop that sold a rainbow of flavours, and in my new job there isn’t anywhere to impulse buy them. Having said that I couldn’t resist when I saw a new flavour variety at the newsagent, I bought myself a tube to try. The name is a bit odd sounding “Mix on The Beach” and it does sound like a bad cocktail! Oh well the fruity flavours themselves look lovely. Mentos are hard sweets, which go chewy fairly quickly and as such are nice to munch on. These are the same, and there are three colours in the pack. First up I tried a pink one. It took a while for the flavour to develop but it had the perfect mix of passion fruit and mango. The passion fruit was slightly tart and the mango was juicy and sweet, the whole thing tasted lovely and tropical. Next up I tried the orange coloured one, unsurprisingly the flavour was very much orange, but there was softer tones of peach mixed in with this too. It had a good citrus taste, very zingy and refreshing. Finally I had the pale peach coloured one, and couldn’t work out from the flavour what it was supposed to be. I would have guessed bubblegum, but that doesn’t exactly fit with the tropical theme. According to the packet it was strawberry and banana, to me it was juicy and sweet, and if anything slightly sherbety. too. 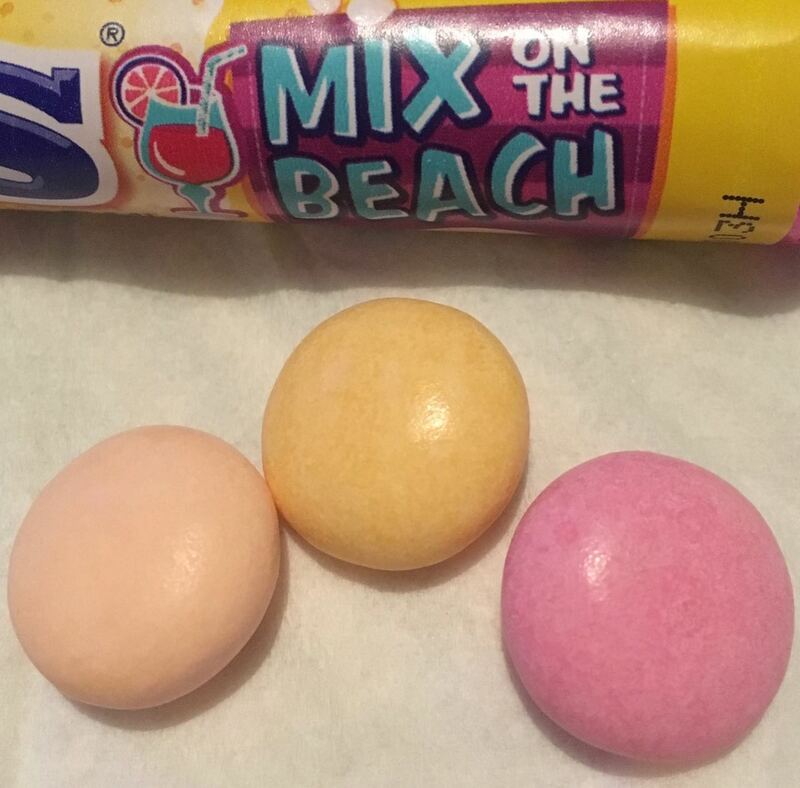 They were all good flavours though, now I’m looking forward to seeing if I can find any other limited edition flavours, I’ve missed my Mentos.